Choisya ternata 'Sundance' is arguably one of the most popular of all ornamental, evergreen shrubs. Compact in habit, with attractive fragrant blooms and an eye-catching, glossy, bright foliage, what is there not to like? As Choisya ternata 'Sundance' is a selected cultivar it is extremely unlikely ever to grow true from seed. As will all species, cultivars and hybrids from within this genus, they are all propagated vegetatively from cuttings. 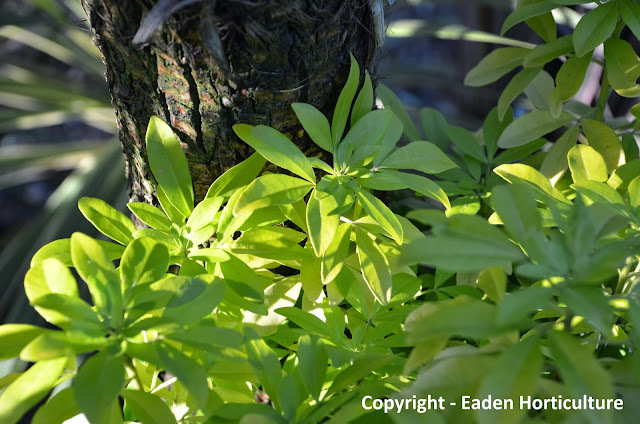 To ensure success as best as you can, cuttings of Choisya ternata 'Sundance' are best taken in August. Before you commence, prepare the parent plant by adequately watering it the day before. This will ensure that the plant is fully hydrated and therefore the cutting material will be as turgid as possible. 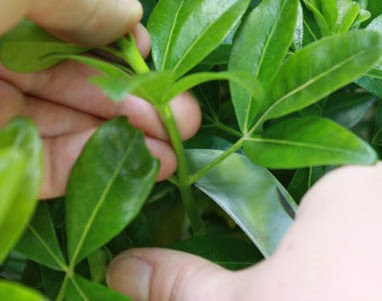 During the summer, cuttings are best taken in the morning, preferably on a cloudy day. This will reduce the risk of the cutting material from drying out which will have a detrimental effect on your cuttings viability. Using a sharp sterilized blade, take 8-10 cm long cuttings of half-ripened lateral shoots. Remove the lower 1/3 foliage. The remaining leaves may need to be cut in half to reduce water loss caused by transpiration which may cause the cutting to dry out before it can produce new roots. If you are not striking your cuttings immediately, place the cutting material in a cool, damp, sealable polythene bag and keep away from direct sunlight. Using a large modular seed tray, fill with a good quality, well-drained, low nutrient compost such as John Innes 'Seed and Cutting'. alternatively make your own mix using equal parts by volume fine-blended moss peat and horticultural sand. Strike one cutting per module, rooting hormone powder is not necessary. However if you choose to use rooting hormone powder then use a dibber first before striking the cutting to prevent the powder from being wiped off. Gently water the tray, then place inside a heated propagator at a temperature of 16-18 degrees Celsius. Once the cuttings have rooted, gently remove the module disturbing the rootball as little as possible. 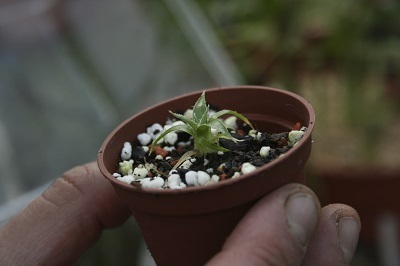 Pot the cuttings on nto 7-9 cm pots containing John Innes 'No.2' and overwinter outside in a coldframe. Once the threat of late frost has passed in the following spring they can be potted on into the next size pot and then harden off. Pinch out the growing tips to promote side shoots and plunge into a nursery bed. They will be ready for planting out into their final position the following year. After all the effort of mowing, re-sowing and the hand-removal of perennial weeds most lawns have vastly improved by the time summer arrives. So now that the garden is formally open to the entertainment of guests, why is it that in a blink of an eye half of it has become infested with clover? Clover is unfortunately a persistent nuisance in lawns, with a root system which can form readily along the creeping, spreading stems. It is able to survive close mowing and on occasion can show a strong resistance to weedkillers. It is a shallow-rooted, perennial weed that can thrive in moist, nitrogen-poor soil. It can be found on all types of soil, but is more commonly found on medium to heavy alkaline soils. The reason why it is such a successful weed is because clover is able to fix its own nitrogen in specialist root nodules. 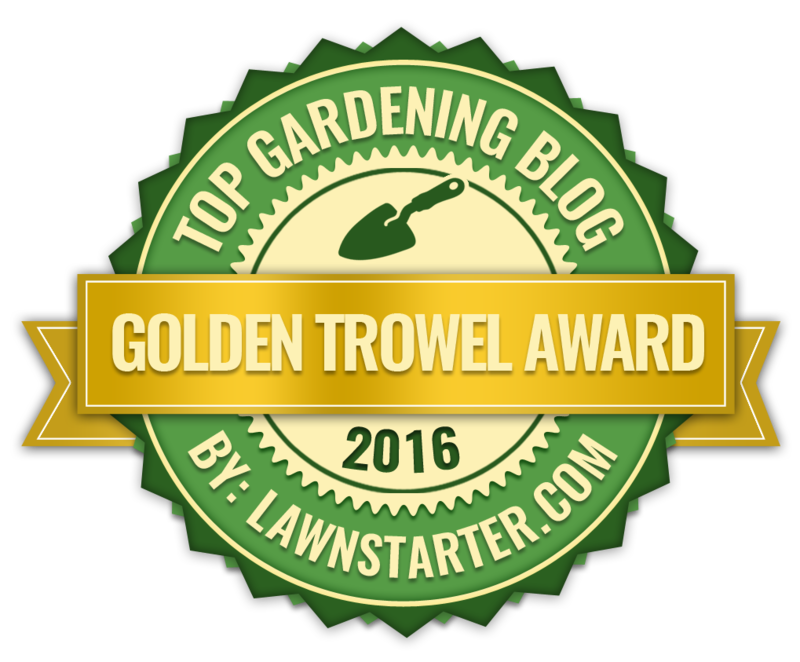 It is able to outcompete your lawn as regular cutting stresses the grass, preventing it from growing strong roots. Over hot summer, with prolonged period of drought, it is not uncommon to see lawns browning off with the only sections of 'green' being the clover. There are effectively two ways to get rid of clover. 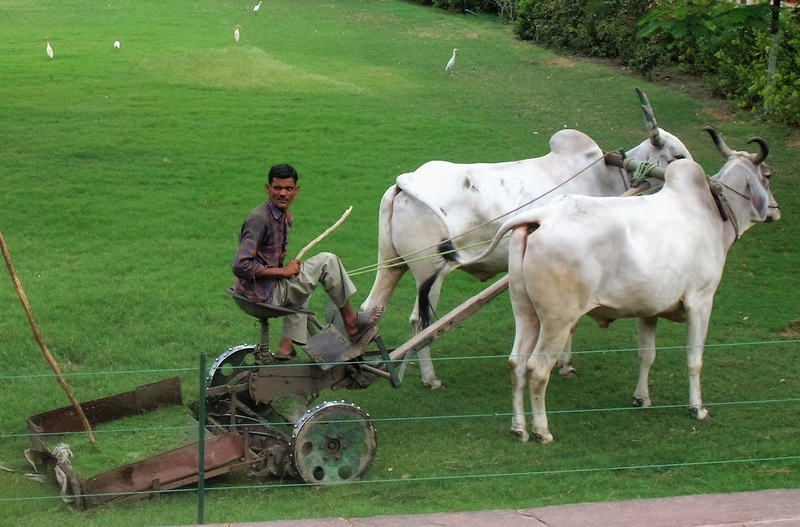 Either by applying a selective lawn weedkiller to kill of the clover plants, or by improving your cultivation methods. As mention earlier, clover thrives in lawns low in nitrogen. This is because clover is able to produce its own nitrogen by using symbiotic, nitrogen-fixing bacteria which have evolved to live within the root system of many species within the legume family – Fabaceae. 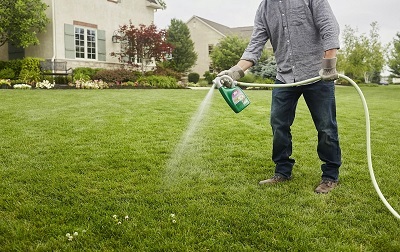 By adding lawn fertilizer regularly over the growing period, effectively improving the drainage by using a hollow tine aeration and backfilling with horticultural grit, and overseeding your lawn several times over the growing season, you will help your lawn compete. Use autumn lawn fertilisers from mid August onwards. Six to eight-week after your first lawn feed application, apply sulphate of ammonia at 15g per sq m. It will increase the acidity of the soil which will act as a deterrent to the clover, while its nitrogen content will encourage the growth of the lawn. To kill off the clover in your lawn you will need to apply a selective lawn weedkiller. A selective lawn weedkiller is one which will kill the broadleaved weeds (dicots) in the turf. Never use a regular weedkiller as this will also kill the grass, and always check the label to find out if it will work on the weeds in your lawn. 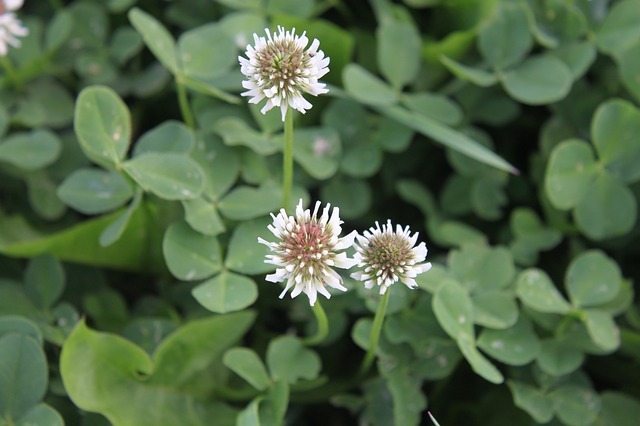 White or Dutch clover can be effectively controlled by dicamba, dichlorprop-P and mecoprop-P, which can be found as the active ingredients in Doff Lawn Spot Weeder, Westland Resolva Lawn Weedkiller and Bayer Lawn Weedkiller Ready to Use 3. You will usually require at least two application to eliminate clover plants. Avoid applying weedkillers to lawns within six months of sowing or turf-laying as this can often often cause severe damage. Commonly known as the 'Mexican Orange Blossom', and is indeed (although rather distantly) related to the citrus genus, Choisya ternata 'Sundance' is arguably the most popular of all the species, hybrids and cultivars within this small genus of evergreen, aromatic shrubs. The genus is named in honour of the Swiss botanist, and professor of philosophy at Geneva, Jacques Denys Choisy (1799-1859). It is a medium-sized specimen with a rounded habit, which under favourable conditions can be expected to reach a height and spread of between 1.5-2.5 metres. The glossy, trifoliate (three-lobed) leaves are bright yellow in colour and with an aromatic rue fragrance when crushed. 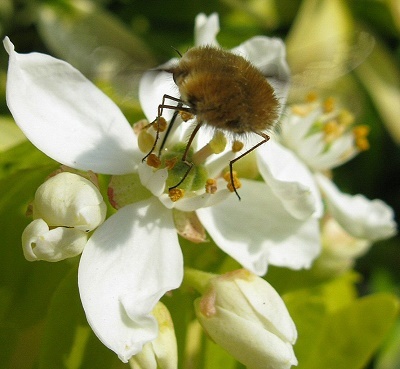 The sweetly scented, white, orange-blossom-like, blooms are produced from late spring to early summer, although a second flush in the autumn is not uncommon. The flowers are borne in clusters in numbers of up to 6 from the leaf axils. Choisya ternata 'Sundance' will thrive in any well-drained garden soil. They are best planted in May to April in a sheltered position, but one which is in shade during the hottest part of the day as the foliage and bleach out. In colder, northern European gardens they are best planted against a south-facing wall as the leaves can be prone to frost damage, especially new season growth. No regular pruning is required, but it is worth removing any straggly stems after flowering to maintain a tidy habit. Any frost damaged shoots should be removed entirely. Choisya ternata 'Sundance' is noted for being resistant to damage from rabbits, and once established has proven to be reasonably drought tolerant. 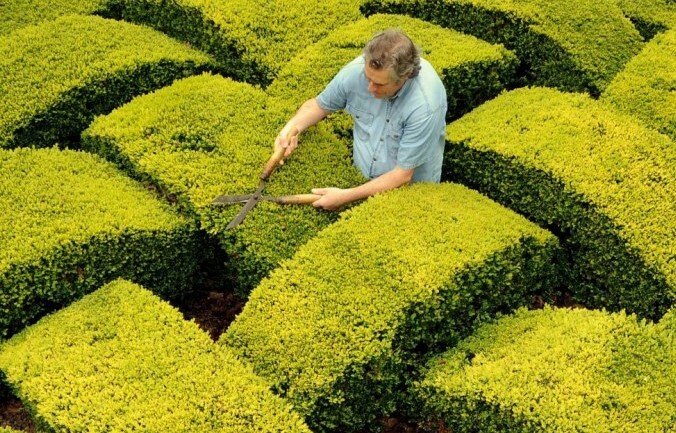 WHEN DO YOU TRIM BOX HEDGING? 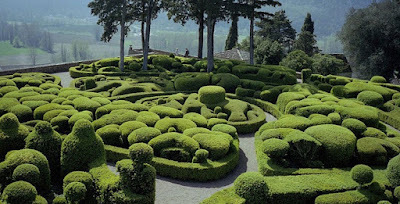 Formal trimmed box hedging - Buxus sempervirens, has been fashionable since the general European renaissance that began in Italy during the 14th century. Used to great effect in parterres, low and informal hedging, box plants are still as popular as they have ever been. However, in more recent times the increasing prevalence of Box blight has caused gardeners to search for suitable, alternative species. Be that as it may, existing and new box hedging still need to be managed if you intend to maintain a clipped effect, usually 2-3 times a year during the growing season. The best time conditions to trim box hedging is when the weather is cloudy as this reduce the chance of burning the newly exposed, softer leaves. Existing, mature hedges are a little different. While it can be very tempting to cut box hedging in mid to late spring as part of an overall garden tidy up, the resulting new flush of soft growth that appears can be vulnerable to damage from late frosts, drying winds and unseasonably hot sun. This will cause the new growth to scorch and the subsequent brown tissue will remain prominent until new growth hides it from view or it is removed by a harder trim. Even if left, the damage leaves will eventually fall off after a few weeks. It is better practice to trim box hedging later, during August and September when the new growth has a chance to properly harden off and should remain neat and tidy throughout the winter months. Once again the timing is different for old and neglected box hedges. Unless they are considered ancient, then they will usually respond well to cutting back hard to within 15-30 cm of the ground. 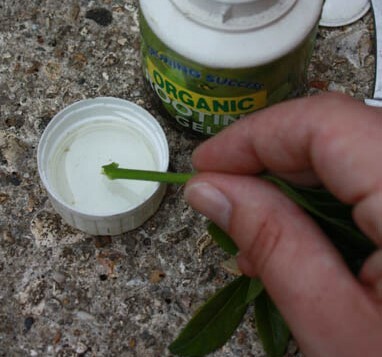 Make these cuts during the winter, to allow the plant to recover from the shock and be ready to sprout out early in the spring. Apply a mulch around the base of the hedge, but avoid having the mucl touching the stems. Can you eat Fuchsia berries? Although the blooms of Fuchsia species and cultivars are undeniable their most striking feature, the plump, deep red, or deep purple berries always attract attention. Looking good enough to eat, are fuchsia berried indeed edible? A question usually asked when a young child turns up with berry juice all over their face and hands. 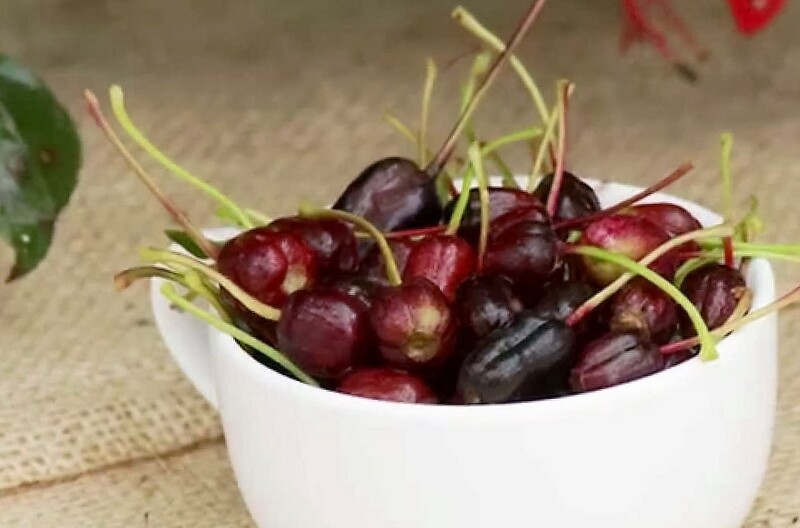 If you are going out of your way to eat fuchsia berries then the berry of Fuchsia splendens was always arguably the best-tasting and most likely to be available for purchase. But now there is a brand new strain of edible fuchsia berry, recently released from the Thompson and Morgan breeding programme, which has cracked the bitterness problem. Unimaginatively called the Fuchsia-berry, it produces large sweet fruits (a bit like a cherry without the stone) with a flavour somewhere between a fig and a kiwi. 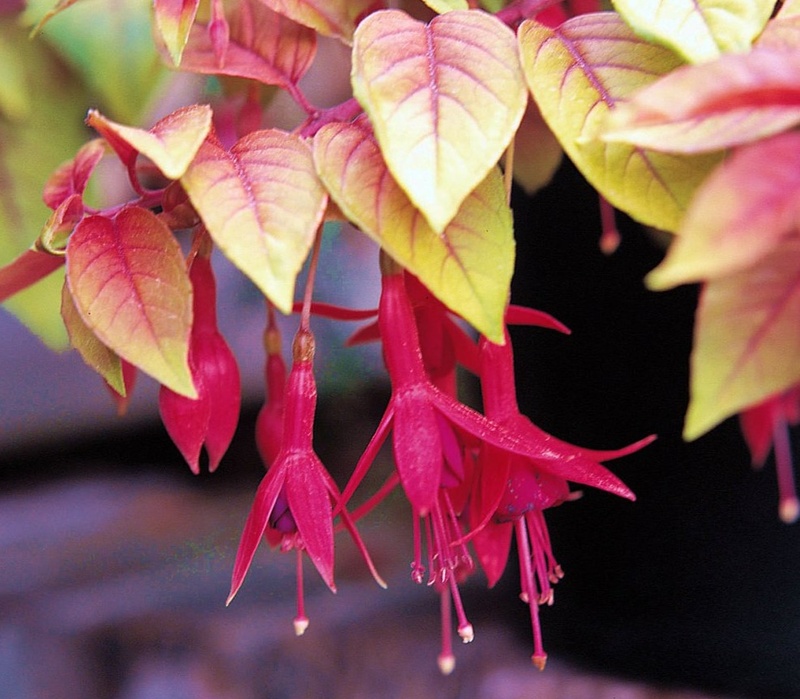 Fuchsia splendens is said to be reminiscent of citrus and black pepper. Lilium Conca D'Or (meaning golden basin) is an spectacular hybrid of Oriental and Trumpet Lilies, and noted for its tall height, stunning blooms and sturdy garden performance. 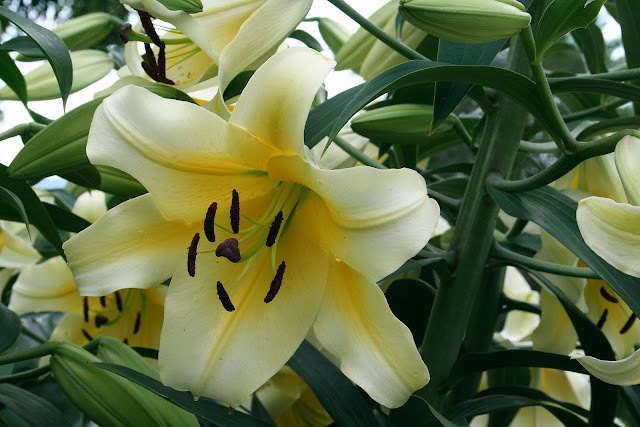 It was hybridised in Rijnsburg, the Netherlands in October, 1995, and in 2011 was voted into the North American Lily Society 'Hall of Fame'. Growing up to approximately 140 cm (although there are reports of it exceeding 2 metres! ), it is a robust specimen, and despite the thin stems will cope with strong winds without the need for staking. However, when n full bloom, the weight of the flowers can then start to bend the stems. The dark green, linear leaves are between 15-20 cm long and appear alternately on the stem. The sweetly-fragrant blooms appear from late July to early August from enormous, fat buds approximately 15 cm in length. The resulting flowers are out-to-up facing, bright lemon with paler petal tips. The waxy petals are surprisingly thick, enabling the blooms to last longer than other hybrids. Each bloom can be up to approximately 35 cm long. 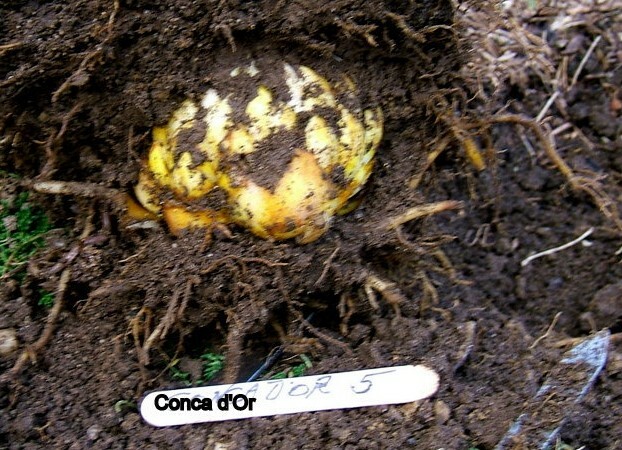 Lilium Conca D'Or is ideally planted in the spring, approximately 3 x the depth (6 inches deep) of the bulb, as soon as the bulbs become available. The bulbs are delicate and prone to bruising so handle as little, and as carefully, as you can. Plant in a well-drained, acidic or alkaline soil in either full sun, or at least where they will receive between six to eight hours of sun a day. To reduce overwintering in cold, waterlogged soil, plant the bulb in a 'pocket' of horticultural grit. 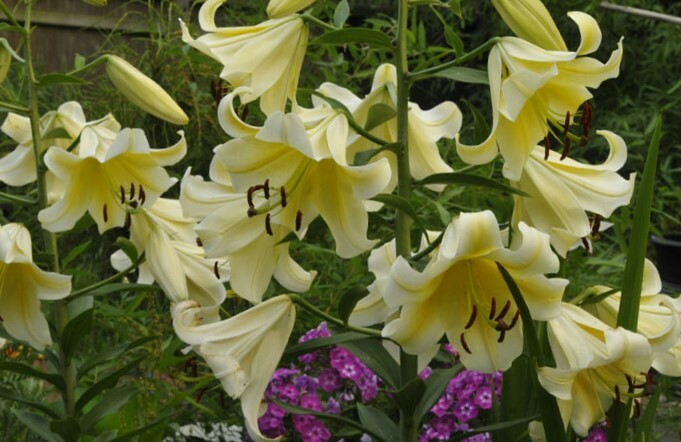 Alternatively, grow Lilium Conca D'Or as a container plant using a good quality soil based compost such as John Innes 'No 2 or3'. Plant 3 bulbs in a 10-14"
When cutting the flowers for bouquets, remove no more than 1/3 of the stem. This provides sufficient leaves on the remaining stem to renew the bulb for the coming year. In group plantings, space 30 cm apart. 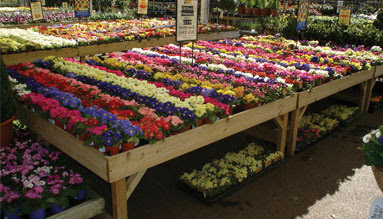 When it comes to having a colourful and attractive garden, it is all too easy to get carried away at your local garden centre and end up spending a small fortune on bedding plants. Of course it doesn't just stop at buying plants, there are the additional costs of composts, fertilizer, and then there's the hours and sometimes days of unpaid dedication and labour for planting up and ongoing maintenance. 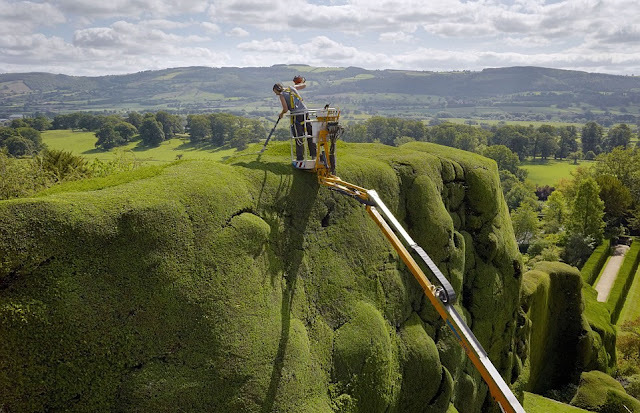 So it is perfectly understandable, after all the money has been spent and works completed, that the last thing you want is for your horticultural masterpiece to be reduced to tiny mounds of colorful, yet decaying ribbons. So what could cause possibly cause such heartfelt destruction? Nothing less that the persistent and pernicious ravenousness of slugs and snails! There is a simple way break the cycle of damage caused to bedding displays by slugs and snails, and that is to cultivate those bedding plant species which they would prefer not to eat! 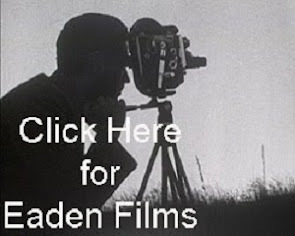 Unfortunately there are are only a few genera to choose from. but this may be just enough to prevent you from going quite mad with mollusc-induced anger. Just remember that the following plants are slug and snail resistant, not proof! 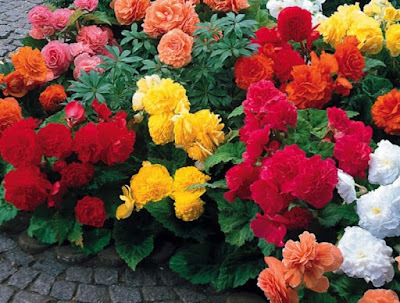 Bedding begonias, fibrous rooted and corm begonias are all well known for their lack of mollusc damage when all around them bedding plants are left devastated. They all all considered to be tender perennials and are ideally suited to growing in containers and hanging baskets. Tuberous begonias can be lifted and overwinter, although in the milder regions of England and Ireland they have been know to survive in the ground, so long as they are not prone to waterlogging. Fibrous-rooted, Begonia semperflorens are compact plants with attractive foliage. Depending on the cultivar the flowers can be white, pink or red and are produced throughout the summer until the first frosts. They are one of the few bedding plants that will grow satisfactory in partial shade. There are a number of species and cultivars within the Lysimachia genus, arguably the most suitable as bedding are Lysimachia procumbens and Lysimachia nummularia 'Aurea'. They have a creeping, prostrate habit which makes them both popular choices for hanging baskets. Lysimachia nummularia 'Aurea' is a very vigorous evergreen perennial which forms a wide mat of creeping stems. The leaves are small, rounded or ovate, golden-yellow. Over the summer, solitary, short-stalked, cup-shaped bright yellow flowers appear. 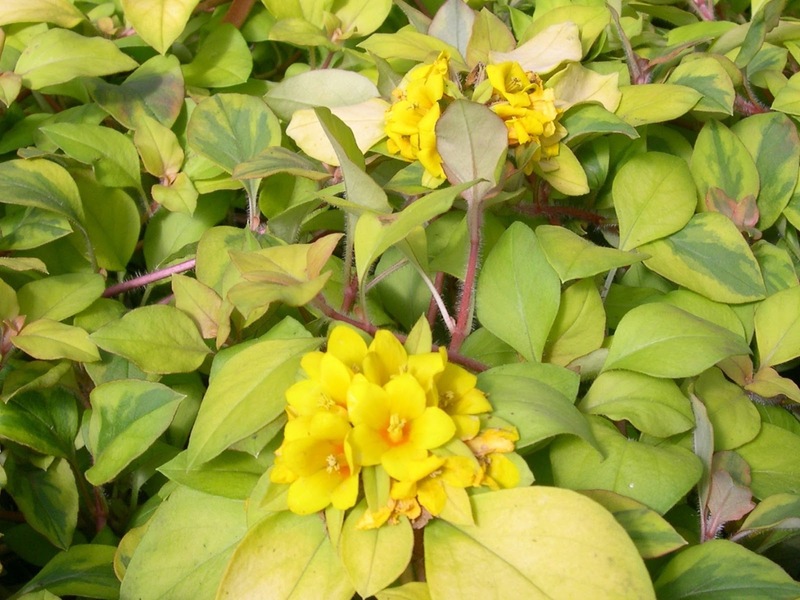 Lysimachia will grow well in full sun to semi-shade in any moist, well-drained soil. 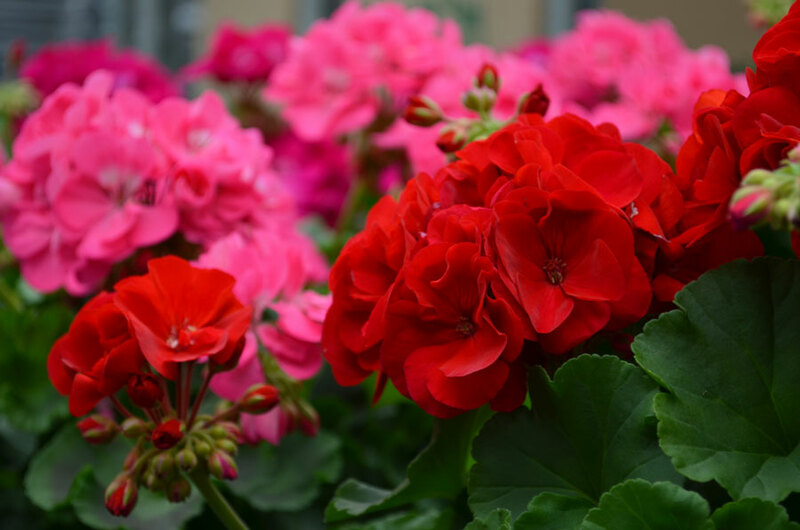 Pelargonium species are drought and heat tolerant evergreen perennials originally included all the species in one genus, Geranium. They are indigenous to the temperate and tropical regions of the world, many of which are found in southern Africa. Plant in a warm, sunny, sheltered location, and deadhead regularly to promote fresh blooms. 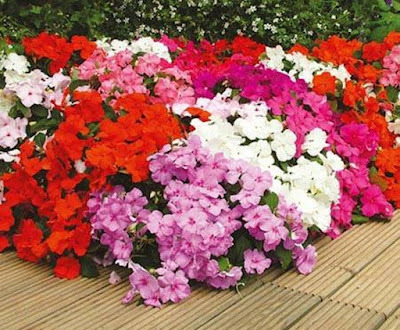 The more compact erect and trailing varieties are also suitable for window boxes and hanging baskets. Plant geraniums and pelargoniums in a sunny position in a well-drained soil. Avoid waterlogged conditions. The genus Fuchsia contains approximately 110 species of tropical or subtropical shrubs and small trees. The majority of which are native to South America. While there are plenty of 'hardy' fuchsias species and cultivars that have been proven to survive a number of winters throughout Britain and to be back in flower each year by July. It tends to be the frost tender cultivars that are used in bedding schemes. They are categorised as upright and bushy, or trailing. Container grown plants will perform best in good quality, well drained compost such as John Innes No.3, grow in warm, bright conditions. 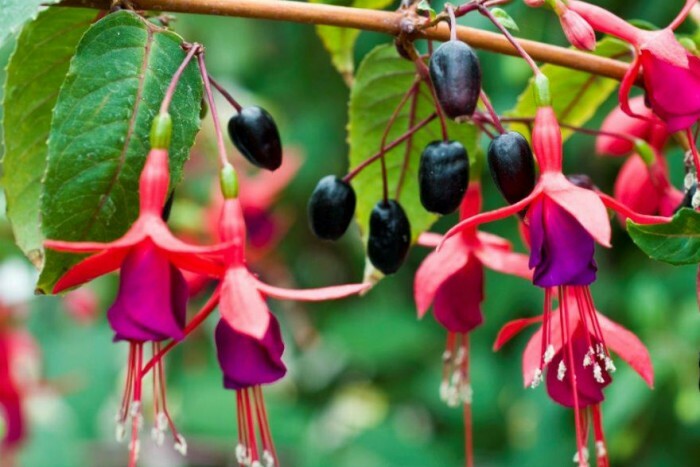 Trailing fuchsias are particularly suitable for hanging baskets, window boxes and containers. Once the most popular of all bedding plants, the common buzy-lizzie - Impatiens walleriana, had now waned in popularity due to the widespread incidence of Impatiens downy mildew. New Guinea bus-lizzies are now the prefered choice for commercial growers. Although slug damage can be a little hit and miss, all species and cultivars are perennial in frost-free growing conditions, although they are usually treated as a half-hardy annual in British gardens. Busy Lizzies enjoy sun or partial shade and require a damp but well-drained soil. Water in the morning to prevent the incidence of fungal infections and where possible water from the base to prevent the blooms becoming marked and damaged. 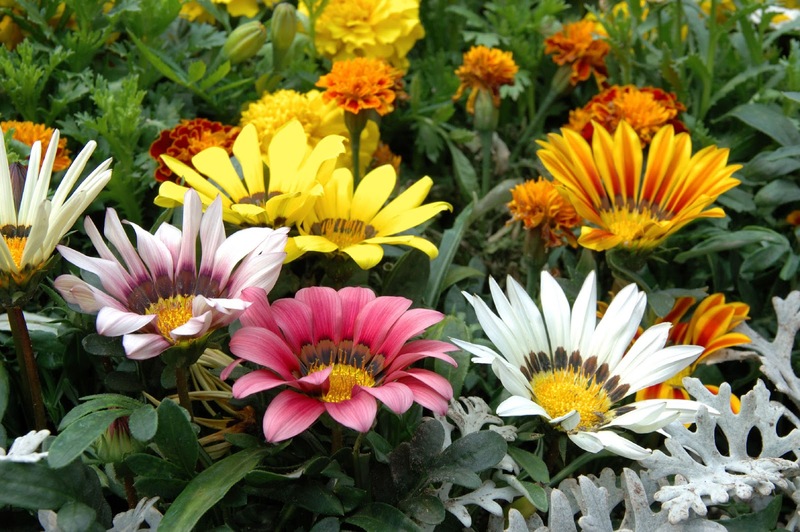 Becoming more popular as a summer bedding plant is the Gazania, a native to Southern Africa. They produce large, daisy-like flowers and are often planted as drought-tolerant groundcover. They are grown for the brilliant colour of their flowerheads which appear in brilliant shades of yellow and orange, and ornamental leaves. Depending on the cultivar the foliage can range from a glossy dark-green to an eye catching silver. 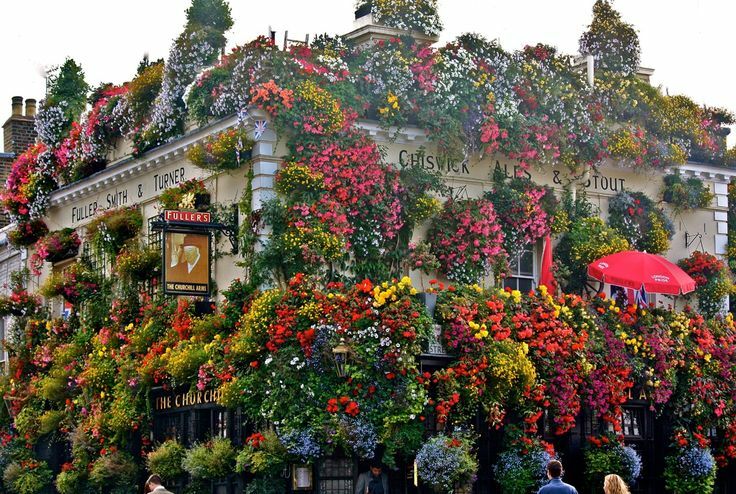 The blooms appear in the late spring and will often continue to flower throughout the summer into autumn. Be aware that the flowers will close in dull weather. They will need a sunny position to flower and will perform best in moist well-drained soils. Gazanias are also tolerant of poor soils. Bellis perennis, Cineraria maritima, Polyanthus, alyssum, antirrhinum, forget-me-not, Osteospermum and wallflowers. Even petunias can be surprisingly resilient although there is always a small percentage that will attract their attention. Commonly known as the 'Queen Of The Andes', Puya Raimondii is an stunning architectural flowering plant from the high altitude mountains of the Andes. Unlike many other bromeliad species and cultivars it does not produce basal shoots from which you can propagate from. You can only grow Puya Raimondii from seed. Before you start make sure that all equipment used is sterilized beforehand as Puya Raimondii seedlings are prone to damping off. As you would expect from the rocky grasslands of its natural habitat, Puya Raimondii will be best sown in a nutrient poor, free-draining compost such as a shop-bought cactus mix. Should you wish to make your own compost then produce a mix of 1 part John Innes 'No 1' and 1 part perlite. Using 7-9cm terracotta pots, fill to within a couple of centimetres from the top and gently water. Sowing at a rate of one seed per pot, place the seed on the compost, not in the compost, and gently press into the soil. Do not bury the seeds as Puya Raimondii seeds require the presence of light to help initiate germination. Provide a very thin layer of vermiculite, or horticultural grade grit over the seeds. Water the top layer lightly using a watering can with a fine rose . Place the pots inside a heated propagator at a temperature range of between 19-23°C. Site the propagator in a bright position but one which does not receive direct sunlight as this can cause temperature spikes and the compost to dry out. Alternatively provide artificial light. The germination of Puya Raimondii seeds will be irregular and once the first seedlings start to emerge (usually 5-6 weeks) you may have to wait to wait a further 10-12 weeks before all viable seeds have germinated. Keep the compost moist but never waterlogged. Be aware that Puya Raimondii seed can be prone to damping off, so while it is necessary to ensure that the surface soil does not dry out at this point, good to excellent ventilation is likely to be needed. As each seed germinates label the pot with the date. About 3 weeks after germination, remove the pot from the heated propagator but keep in a mild, protected environment out of direct sun. Allow the surface soil dry out between watering. After 8 weeks you can begin to harden them off, but take your time over this. Begin with just a couple of hours of morning sun then light shade the rest of the day. As each week goes by allow another hour of sun each day. Feed with a liquid fertiliser once every week or so using only 50% of the recommended dose. When repotting, do so as gently as possible and disturb the root system as little as you can. Allow the plants to settle for a few days before watering. Going forward, reduce watering but do not allow the roots to dry out fully. Protect from hard frosts for the first couple of years by overwintering then in an unheated but frost-free, bright, protected environment. An unheated greenhouse would be ideal. When ready to plant out into their final position, provide full sun in a moist, well-drained stony soil away from the competition of other plants. Water during periods of extended drought and apply a recommended dose of liquid soluble fertiliser very week or so during the growing season. Commonly known as the 'Queen of the Andes', and for good reason too, Puya Raimondii is not only an impressive architectural plant, it is the world's largest bromeliad! Native to Bolivia and Peru, it is a high altitude specimen, restricted to the high Andes and found at an elevation of between 3000 – 4800 metres. 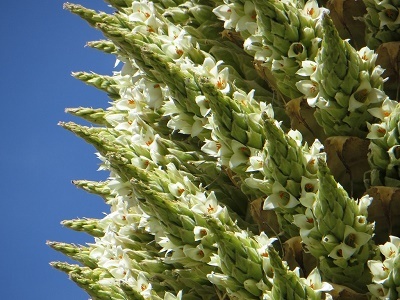 In its regular state Puya Raimondii can reach a height of approximately 3 metres. However, when it is mature enough to produce its magnificent flower spike this can rocket up to between 9–10 metres! While on a mission for the Paris Museum, in South America between 1826 and 1833, Puya Raimondii was first discovered and described for western science in 1930 by French naturalist Alcide d'Orbigny (1802–1857). The species name in in honour of the prominent Italian scientist, and popular historical figure in Peru, Antonio Raimondi (1826 –1890). Raimondi immigrated to Peru in 1850 and made no less than 18 extensive journeys to all regions of the country, studying the nation's natural wonders. 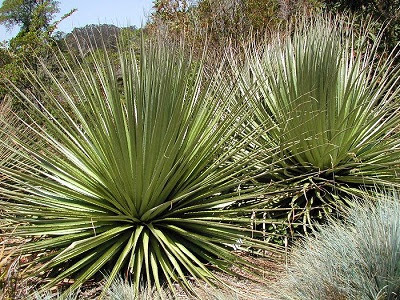 Despite the characteristically cold temperatures and rocky, friable mountain soils, Puya Raimondii has proven capable of thriving in a variety of conditions such as low altitude, high humidity, and much higher temperatures. Puya Raimondii will not tolerate soils without excellent drainage or close competition with other plants. 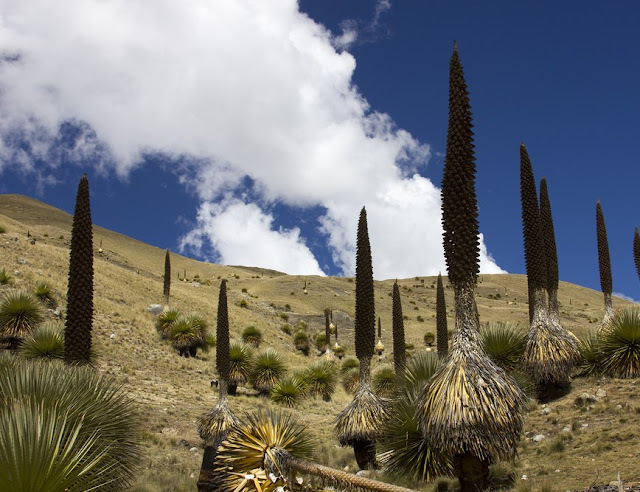 In the bleak, rocky grasslands of its Andean natural habitat, Puya Raimondii will experience a temperature range from as low as -20ºC to an estimated maximum of between of 8–24ºC. This is in addition to rain, hail or snow fall which usually occurs between October to March. To cope with these harsh environmental changes, Puya Raimondii produces a chemical in its sap that acts as an natural anti-freeze. This allows it to cope the huge temperature variations that can exist between night and day. 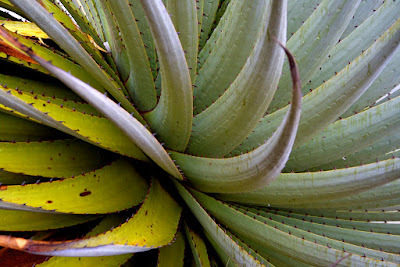 To survive the nutrient poor soils, Puya Raimondii has evolved a rather grisly method of obtaining precious nutrients. The rosette of stiff, slender leaves are lined with sharp hook-like spines which are known to trap native birds. 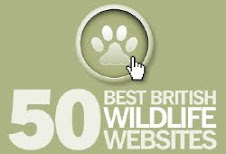 They have even been recorded ensnaring sheep and other large animals. Trapped and unable to escape they slowly starve to death, then decay at the base of the plant providing fertiliser for the plant. When grown as an ornamental plants, plant in full sun, in a stony/rocky free-draining soil. Rather than sheep or birds, feed with a high nitrogen, liquid soluble fertiliser.